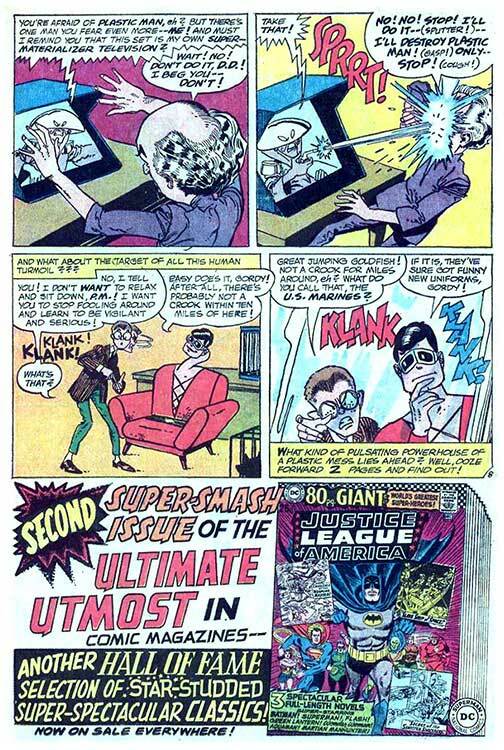 ...which tells you it's a chapter in comic book history on its' own splash page! 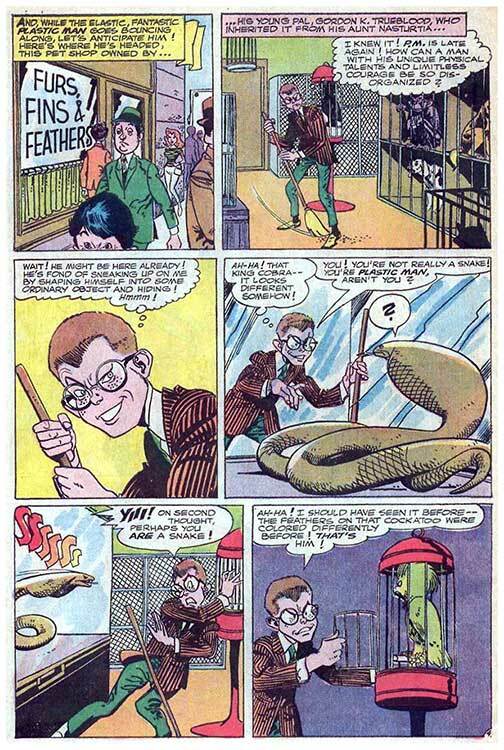 In 1966, DC Comics decided to revive one of the many characters it had purchased from the now-defunct Quality Comics line. 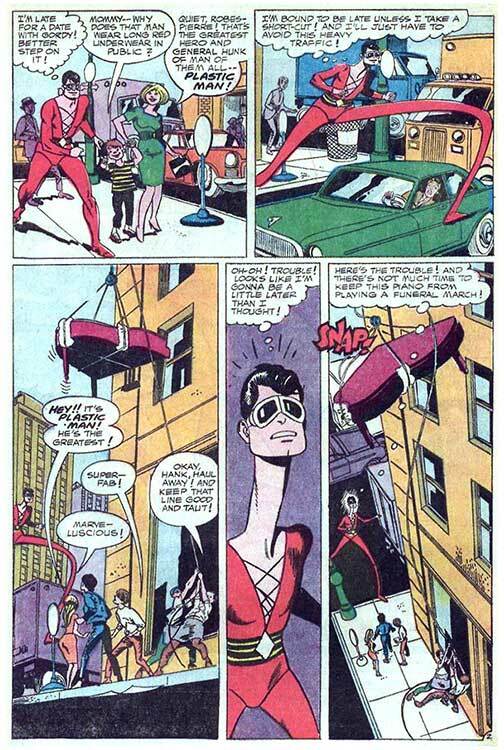 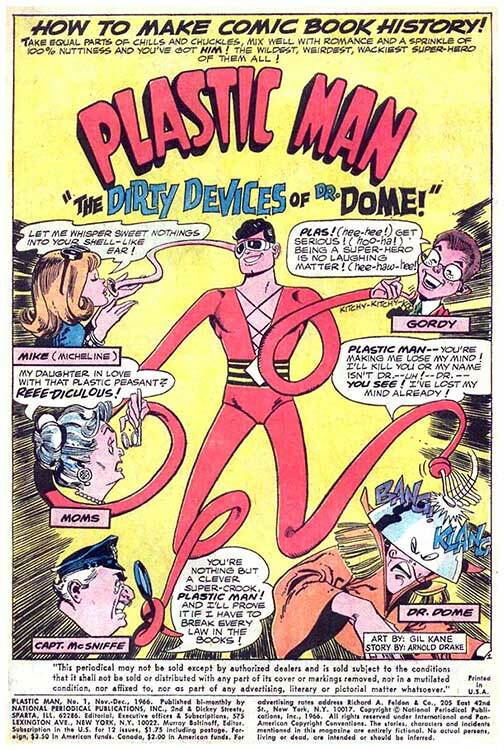 Next to Blackhawk (which DC had kept going as an ongoing title from the demise of Quality onward), the most successful character had been Plastic Man, who headlined Police Comics as well as his own book for over 15 years! 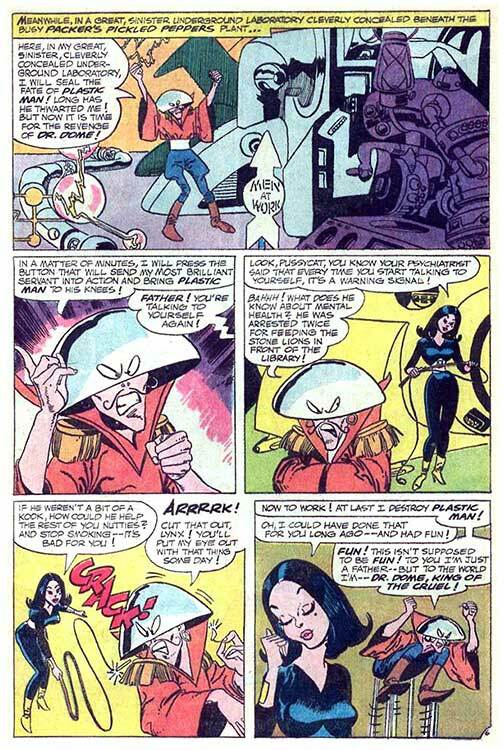 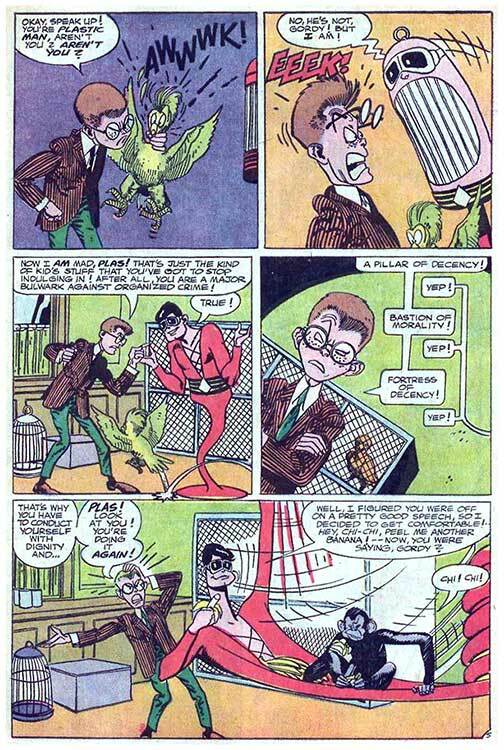 The problem was that the character, under creator/writer/artist Jack Cole, was so unique, that finding someone to carry it onward in an equally-quirky manner was difficult. 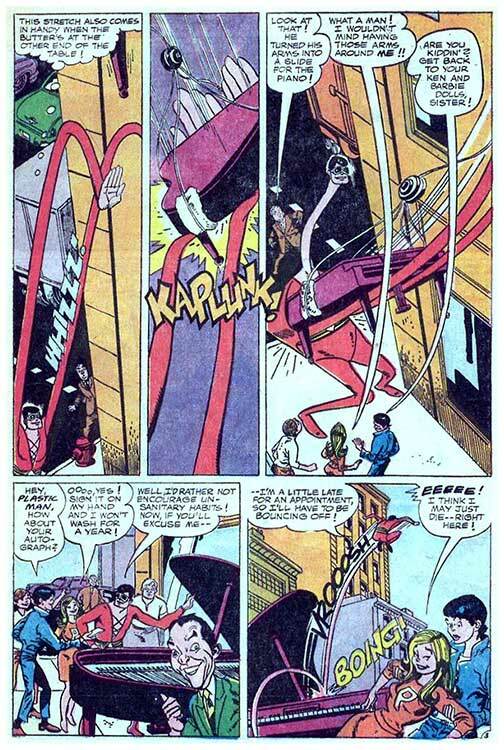 DC gave it a shot anyway, with writer Arnold Drake and artist Gil Kane. 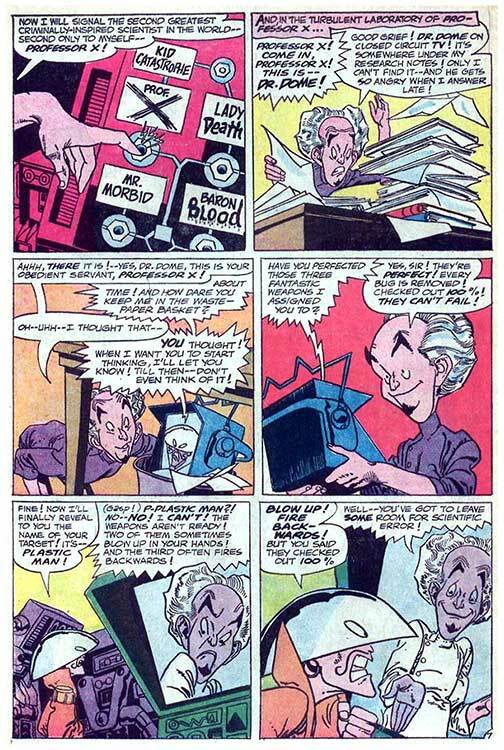 Ironically, both of them were also pioneers of the comics medium, being the writer of the first graphic novel (It Rhymes with Lust ) and writer/artist of the second graphic novel (BlackMark ), respectively! 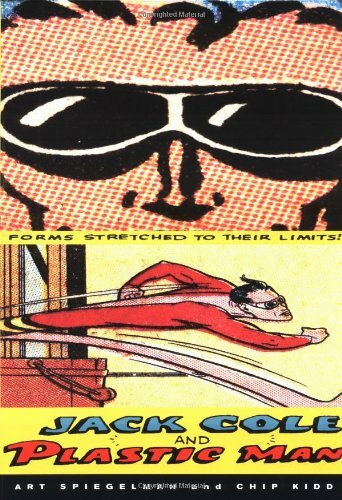 Yet, on this project, they don't quite gel, though they both do their damnedest!